The largest K-pop music festival in Southeast Asia is coming back to Singapore on 25 and 26 May 2019! 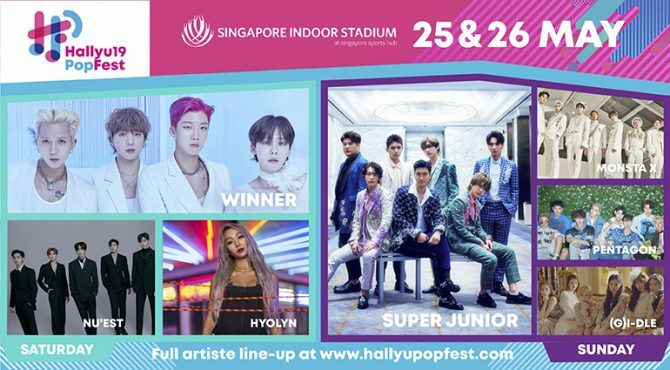 Get ready to groove to your favourite K-pop artists as they perform live at HallyuPopFest, at the Singapore Indoor Stadium. It will be the follow-up to the hugely successful inaugural edition of the festival held in 2018, which saw more than 25,000 attendees from all over the region. 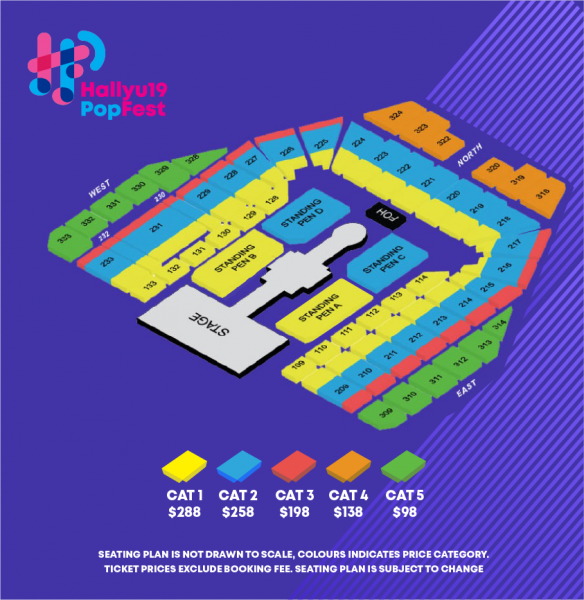 Last year’s HallyuPopFest flew in top and rising Korean musical acts, including Wanna One, Apink and Taeyeon. The fifteen acts in total this year are no less huge. Headlining the festival are none other than the globally renowned veteran boy band Super Junior! That’s right, E.L.F. 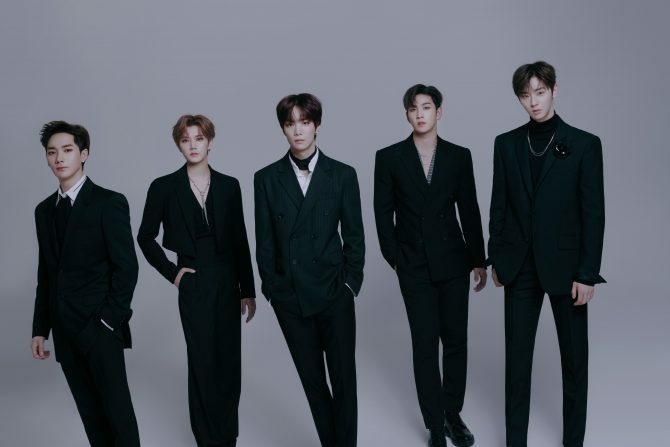 – they are making their return to our shores as the very last act performing at HallyuPopFest 2019, on its second day. 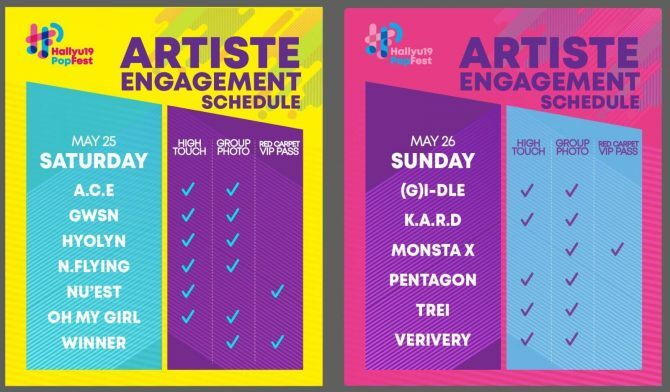 Alongside SuJu, other popular boy bands NU’EST, Winner, and MONSTA X will also be headlining the concert. 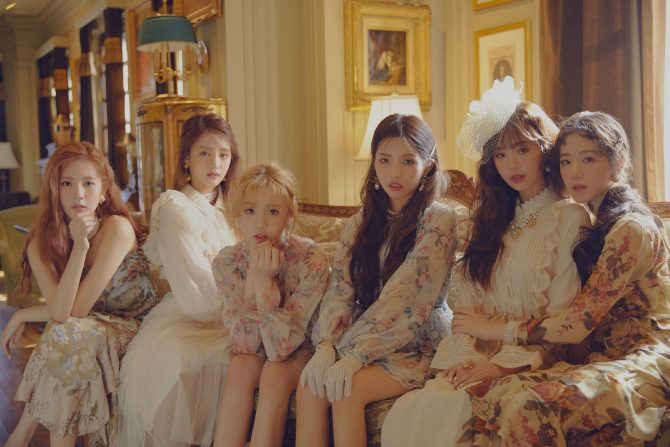 We are also very excited for the performances of award-winning girl groups OH MY GIRL and (G)I-dle. Pop is not the only genre at HallyuPopFest! Get to know the breadth and depth of South Korean music as you groove to KARD and their acclaimed reggaeton-infused songs, rap-rock band N.Flying, and rap soloist Kanto. 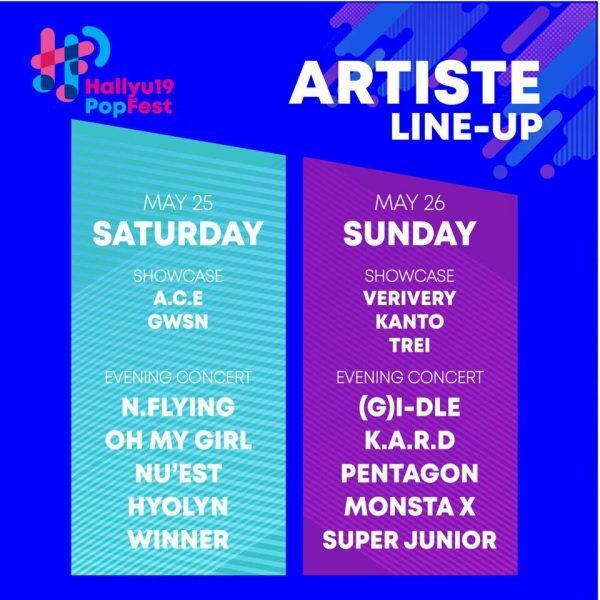 The star-studded musical line-up rounds out with PENTAGON, A.C.E., soloist HYOLYN, GWSN, VERIVERY, and TREI. 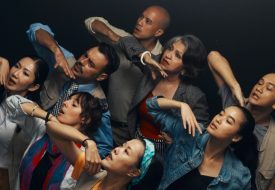 The artists will be taking the stage all through each of the two days, across two different types of performances – afternoon showcases, and evening performances. The headliners will perform evening concerts with individual sets lasting at least 30 minutes, while the afternoon showcases run longer between 90 and 120 minutes. 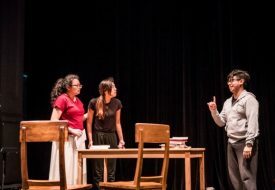 This year’s edition will see an even bigger and livelier celebration of all things South Korean culture, with the introduction of HallyuTown at the festival. Serving as the main festival square, it will be the happening place to be, as the location of the Red Carpet events as well as the dedicated Fan Support area. The space will be packed with booths and activities featuring the most popular Korean trends in food, beauty lifestyle. It will be open to the public, so you do not need to be a ticket-holder to enjoy the Hallyu-related activities and atmosphere. 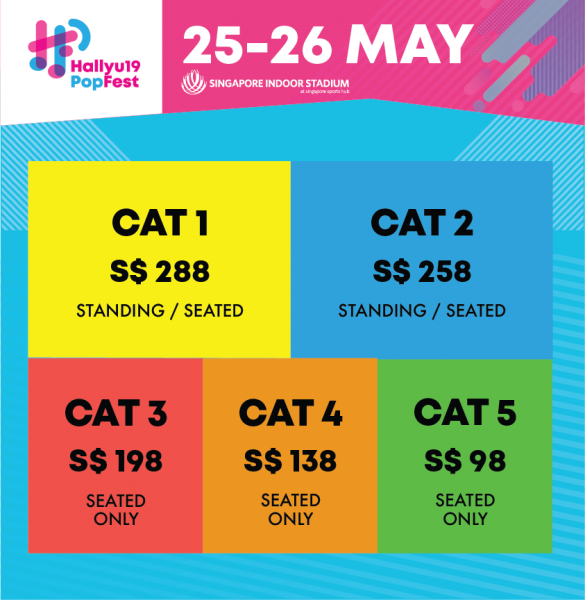 For such an exciting festival with a stellar line-up, HallyuPopFest 2019 is sure to attract lots of festival-goers again. So don’t wait long to get your tickets! Tickets are on sale now at $98, $138, $198, $258 and $288. Each ticket is a one-day pass, so you would need to purchase two tickets to enjoy the full two-day program. If you want to meet and interact with your favourite artist or band, be sure to purchase the add-on HallyuPass at $68. The HallyuPass entitles you to an artiste engagement session with one performing artiste on the same day as your ticket. You can purchase your tickets online here, via phone bookings at +65 3158 7888, and at the following box office locations: Singapore Indoor Stadium Box Office, The Star Performing Arts Centre Box office, Scotts Square Concierge and all Singpost outlets.